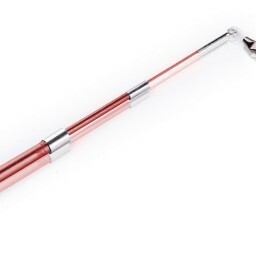 Pole extends to a full 39-Inches and the light weight cord is 24-Inches long. 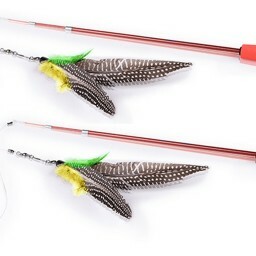 Real feathers flutter and spin for a more enticing experience. Once your cat catches their prey, they won't let go! 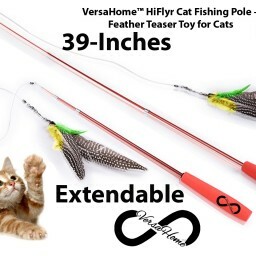 You will feel like you are fishing for cats! Satisfies your cat's natural instinct - Cats have a natural instinct to stalk and pounce on their prey. The toy can be used as either ground prey or air prey.